A glider rocking chair is a modern form of rocker that slides back and forth in a seamless flow. These chairs have stationary bases which control the movement in one mechanism, preventing damage to floors and creating a smooth rocking motion. We’ve designed our collection of gliders to be both comfortable and stylish so they can be used in any space in your home. 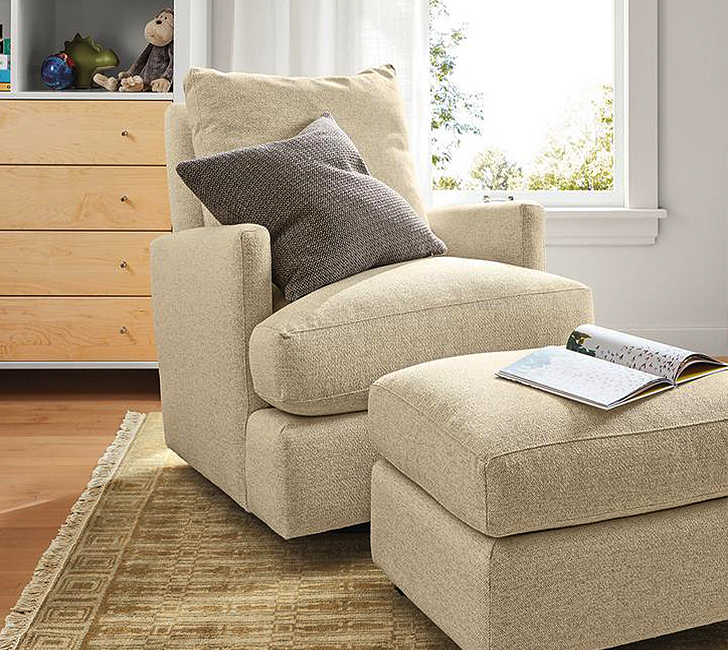 The Wren glider offers incredible comfort and functionality. 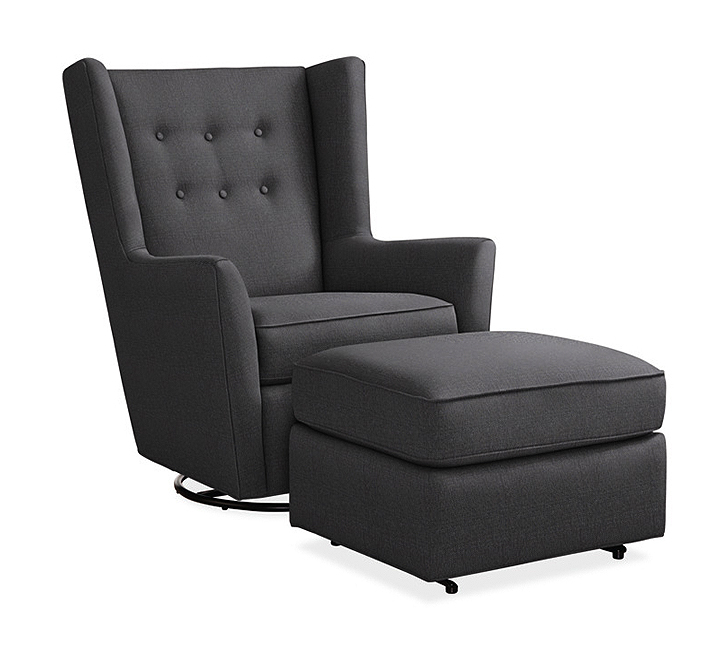 Its modern, high wingback design features a soft curve that offers the perfect place to rest your head and a swivel glider base allows you to gently rock your little one. Made with materials that resist staining and are easy to clean, this glider rocking chair withstands all types of wear and tear. 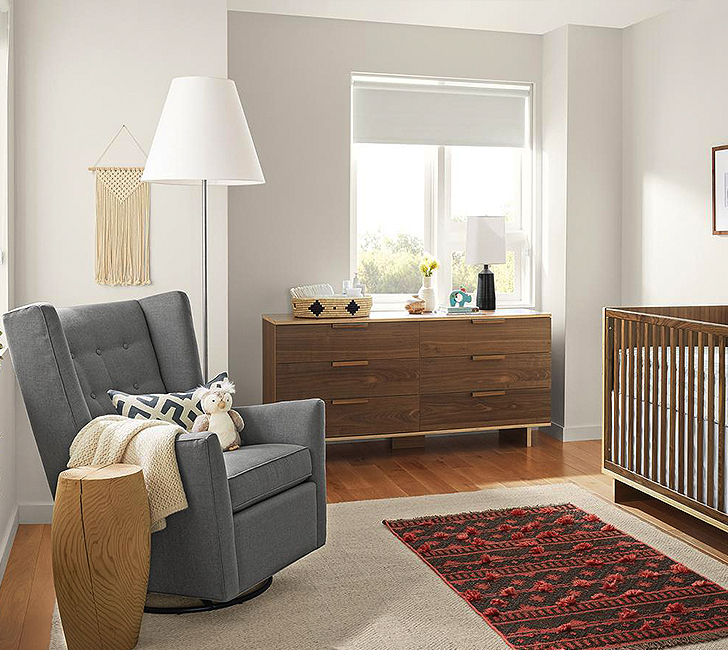 Wren’s tailored style makes it a great addition to your living or family room after your baby has grown. Amazingly comfortable and inviting, the Colton swivel glider rocking chair’s scale supports your neck and arms and features blend-down seat and back cushions for true relaxation. 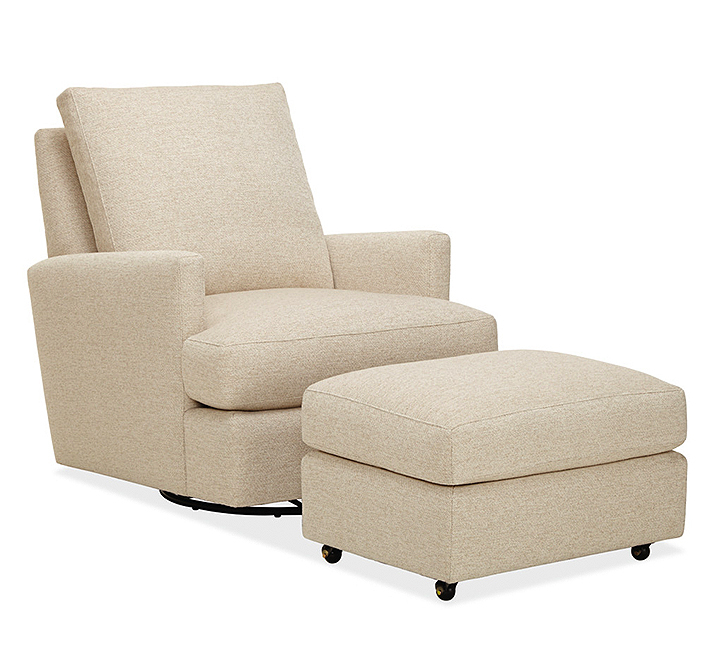 With a swivel and glider base, this chair brings modern design to any nursery space. 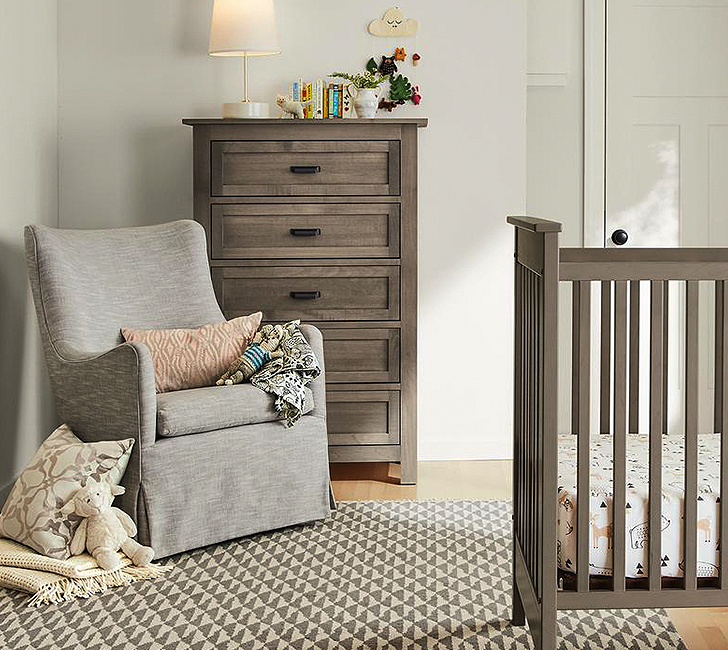 Post-baby, Colton would be the ideal chair for a cozy reading nook! The Ellery swivel glider rocking chair has a tight wingback design and gentle curves, perfect for resting your head and arms. An upright sit also makes it easy to stand when you’ve finished rocking–even with a child in your arms! 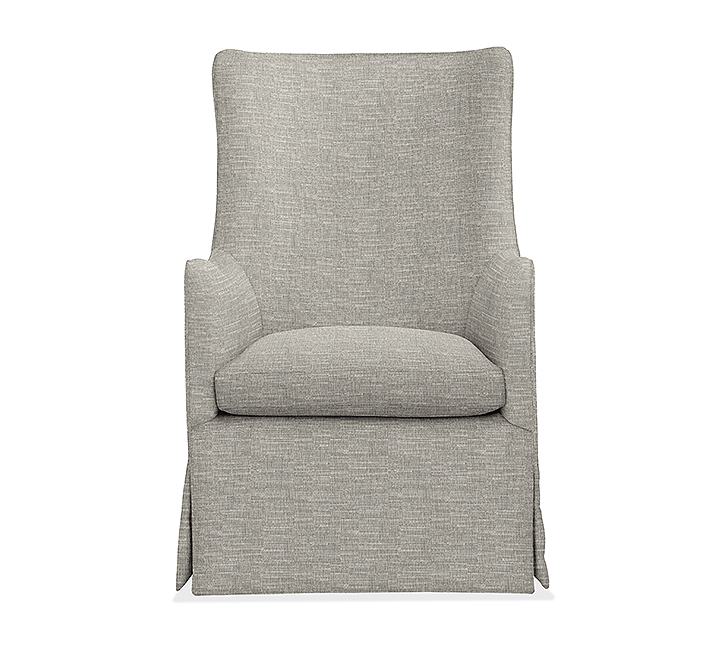 Stain-resistant fabric and a small footprint make this rocking chair practical and elegant for any size space.